Licenses are per-person, per-platform so you can use your single license on as many Macs as you have. This is used wherever a password is shown. 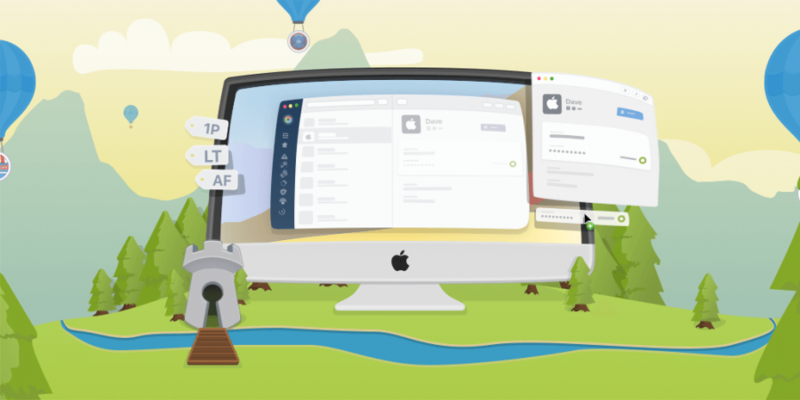 To further be able to log into our 1Password accounts from any internet connected device is just another useful convenience. It's a shame, but I won't be updating - particularly since there are some excellent alternatives such as Dashlane. As an example, I want access to my kids' Social Security numbers, but I don't want to put that information in something as ubiquitous as an Apple Note. It is less in my face than 1Pass or LastPass. No one here is suggesting not paying for major upgrades every once in a while. My wife and I have noticed that if one of us creates and shares a new 1Password vault on one computer, the other of us sees it pretty much instantaneously. AgileBits has released , a brand new version of its robust password management app. Vaults allow you to group your items depending on their purpose and who needs access to them. It is less in my face than 1Pass or LastPass. If you caught yourself yelling What Are Those?! I actually use it to store all bunch of information besides just passwords we are talking close to 800 records , so having it not integrated with any browser is a big plus for me. Vaults allow you to group your items depending on their purpose and who needs access to them. 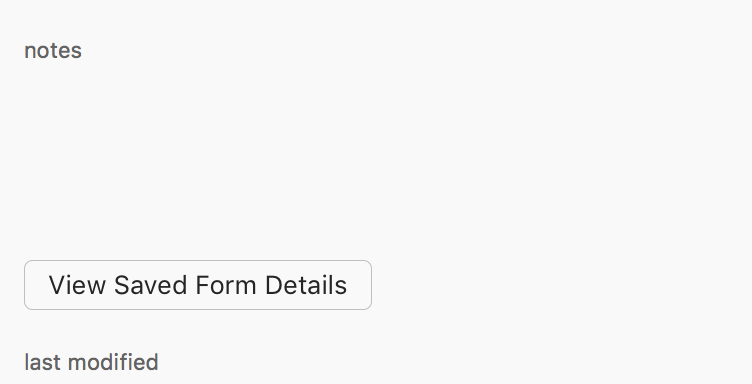 On the other hand, with Safari I have to place the cursor in the login field and select from a pulldown menu, which I can do with the arrow keys. And I don't see additional value for me from a subscription. All of us have little bits of data that we want to keep on all of our devices and yet maintain security. 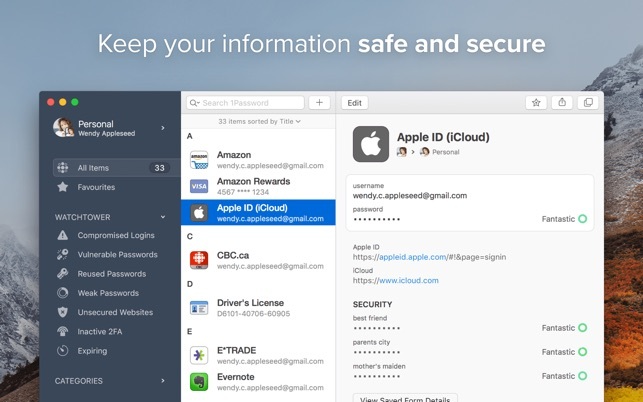 All of this adds up to create a better, safer 1Password experience. I think with version 7 you won't be able to outright buy it anymore. You can try it for free for 30 days to take advantage of. I'd have preferred continuation of a reasonable pricing plan to the endless happy talk emails about hockey games, holidays, puppies and rainbow. I was also offered a financial incentive to retain the subscription. Let me know if I can help along the way. Once of the great benefits of 1Password is that it allows 1Password on all my devices to stay in sync. 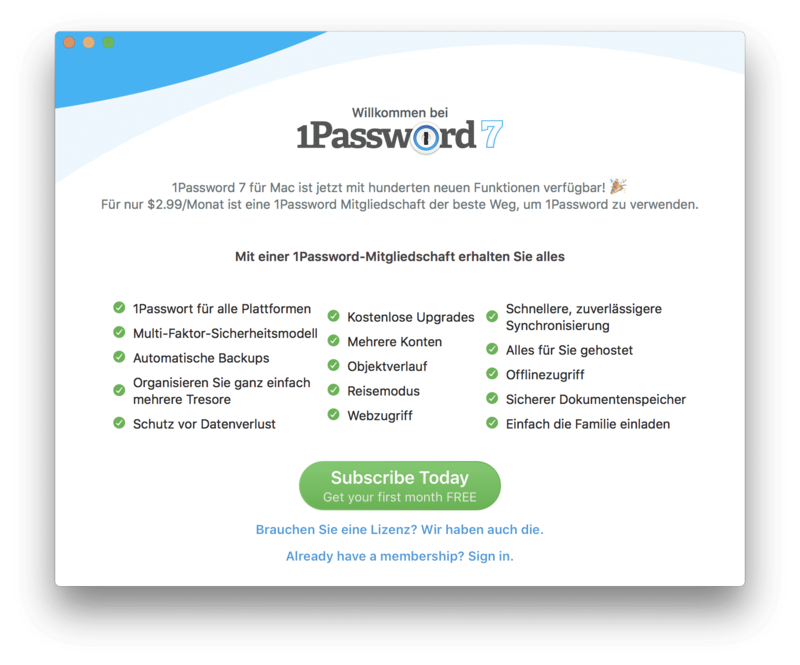 As you can tell, many of the changes in 1Password 7 are aimed at improving the user experience or are largely cosmetic. I would have it on my Mac, iPhone and iPad, and other family members have MacBooks, iPhones and possibly iPads. Then I discovered you have to select one of the listed backups before clicking Show Files. It looks better, is more functional, and contains more information concerning your passwords and logins. The latest version of the popular password manager is a major update with dozens of new features and improvements, including a new dark-themed, collapsible sidebar that makes it easier to use and manage password vaults. When you do that, you'll need to create a new Master Password for your standalone setup. If that is changed to an individual account can I still use the standalone app on my devices and if so, is the standalone license a one time thing or recurring annually? I personally feel that 1Password accounts are better and easier to use, and thus right for the majority of our userbase, but if you like the licensed way of doing things, more power to ya. You can buy a standalone license, and there is an introductory price on that so get on that now. AgileBit is smart in dropping those cheapskate whiners and work only with people who value their work enough to pay at least that much. They can always use a spreadsheet file stored as an encrypted file for free. Is it only useful to go through the steps of logging in if you have to copy a lot of passwords? Just to be clear, I'm more than happy to pay for the standalone app. It makes a huge difference to us. 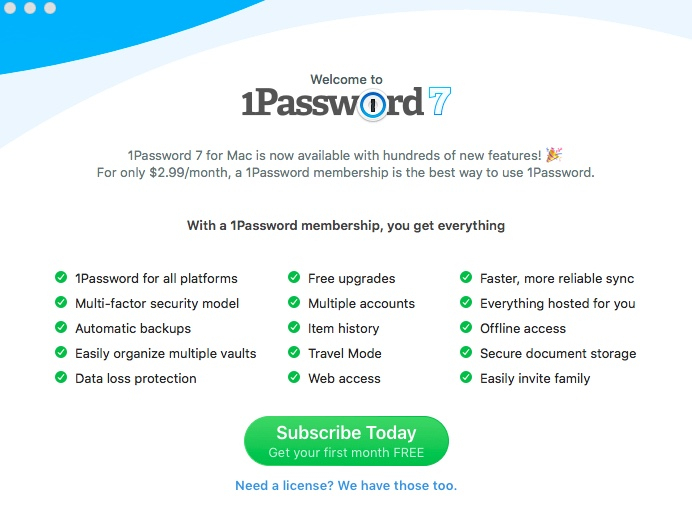 There are a lot of good things about 1Password, including Watchtower, which keeps an eye out for any services you use that have been compromised. It uses a data center over in Europe to help achieve part of that. I have no entitlement whatsoever. For the full changelog head on over to app-updates. Five years since last paid upgrade? Yes, it is required now. It's really nice seeing that our users are getting value from 1Password. 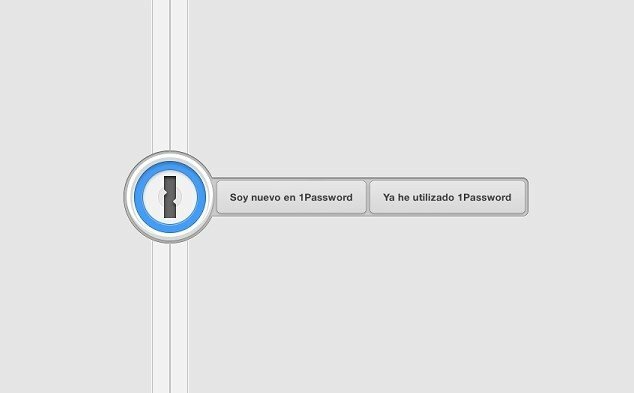 I have to go to the 1Password icon in the menubar to choose the login and password. One thing I like about the new version is that it doesn't just limit itself to website logins. What they are doing with this post and the carefully chosen words they use strikes me as a bit dishonest though - it almost looks like lawyer speak where they are intentionally trying to mislead. I relented and paid for the family subscription plan and have not looked back. All those synchronisations have now been disconnected. The only way for 1Password to justify their subscription model is to implement more and more useless bloat functions into their software. Your subscription can be managed in your iTunes Account Settings. You no longer have to copy and paste from 1Password mini to the password field since AgileBits added support for dragging content. I'll look forward to hearing from you. I have asked them to maybe think on giving the option of exporting the vault that is uploaded to Dropbox so I could import it rather than using Dropbox. Do you pay for their subscription service? All the long random passwords and double factor authentication I use is useless. It draws you in with its bold dark theme and delights you with its simplicity. Speaking of design change, the entire app is getting a major overhaul. I may have to do the same with others, as well. When you go into travel mode, the caches are flushed from your systems and only the vaults that are set for travel are shown. Everyone did a fantastic job of helping report bugs and provide constructive feedback. If I am ordered to show my account when I am crossing a border or detained while I am not home, I can show the small handful of passwords, etc. As far as I'm concerned, the functionality and features this app provides is more than worth it and I'm happy to pay to keep it going. Go read the 'No More' section.